A superhero whose adventures are written in the classic Marvel Comics style lives in a world so fraught with tragedy that mere mortals could not bear it. Each month, friends and family are put in deadly peril, allies are mind-controlled, replaced with robot or alien doubles, and countless civilians are hurt by battle debris. At their best, monthly comics are essentially four-colour soap operas, and no hero’s saga exemplifies this best than that of Spider-Man, Peter Parker, from the 1960s to the 1970s. Long before the Sam Raimi films, Spider-Man was the most relatable hero around, as his running battles with villains like the Green Goblin and Doctor Octopus shared almost equal page counts with rent payments, girl troubles and the constant worries of his beloved Aunt May. 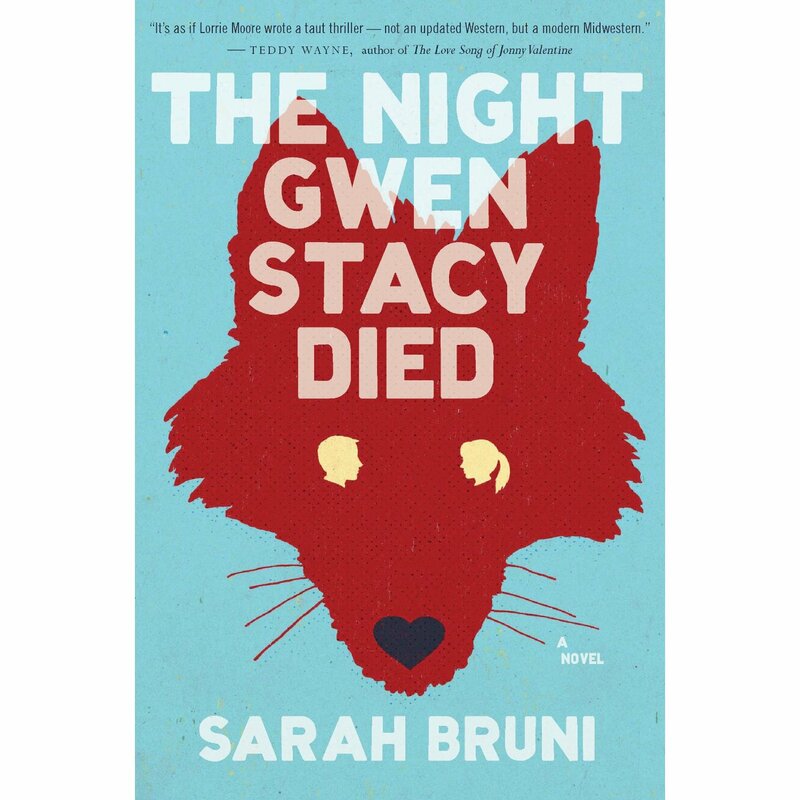 This fundamental similarity between the world of Marvel Comics and the real world is one of the secrets to the company’s continued dominance against the more mythic-focused DC Comics even to this day, and it also forms the backbone for The Night Gwen Stacy Died, the debut novel from Sarah Bruni. To add a little background, Gwen Stacy was Peter Parker’s first love, and her death was so important that it’s used as one of the touchstones for the end of comics’ Silver Age. That is to say, Gwen’s death and the resulting loss of innocence for the industry marks the turn from the relatively light-hearted stories that began the Marvel Renaissance to the process of deconstruction and violence that would find its apotheosis in Frank Miller’s The Dark Knight Returns, and Alan Moore and Dave Gibbons’ Watchmen. Synopsis: Sheila Gower is a frustrated teenager growing up in a nowhere Iowa town, with her main goal in life simply to leave and never come back. She’s got a half-hearted plan to move to Paris, but when a cab driver who calls himself “Peter Parker” offers her a way out, she jumps at the chance. The duo move to Chicago, and a complicated psycho-sexual relationship develops, where both lovers start to take on aspects of comic characters and identities become fluid. Peter wears glasses with no prescription and cultivates a sort of “spider sense”, while Sheila dyes her hair bright blonde, wears dresses that recall Gwen Stacy’s modish look and begins to take charge of her existence. The question remains, though: Will this pair of star-crossed lovers go the same way as their fictional predecessors? This was a very accomplished and assured first novel, one that I immediately found interesting due to its unorthodox use of the comics material. 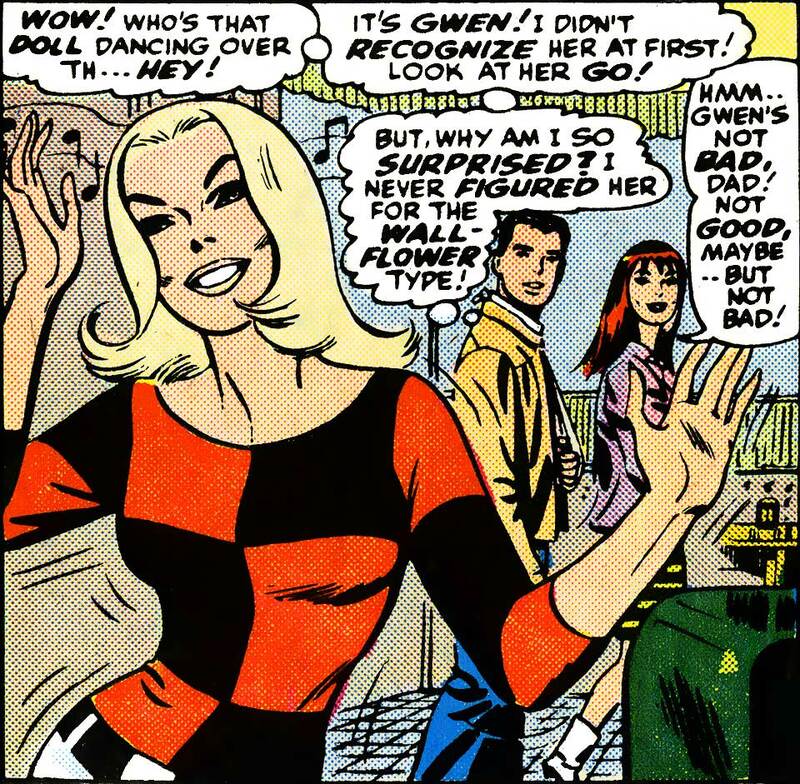 I liked the way that Bruni used the simple, unabashed love between Peter and Gwen as a jumping off point for the more complicated relationship of “Peter” and “Gwen”. She presents a very nuanced look at how the sort of emotions the comics characters embodied might present themselves in the much more complicated real world, and the effect made me recall Doris Lessing, specifically the latter half of The Golden Notebook. Neither of the characters know what is in the process of becoming as they spend more and more time together, and both are at equal turns repelled and attracted to the chaos and unease this brings to their lives. The situation that kickstarts the story also brought to mind Terrence Malick’s classic film Badlands, as a young woman recounts her adventures with the man who took her out of her boring existence (to be fair, Sheila Gower’s potentially got more going on upstairs than Sissy Spacek’s baffling character in that film). Luckily, the two runaways in Bruni’s novel are able to solve their problems with much less violence. Bruni also does an excellent job showing how a lonely young man might turn to the concrete and easily understood world of comic books when the real world proves itself unreasonable. Comics provide many examples for how to deal with nigh-constant trauma and pain, and could easily take the place of a way out in a slightly warped person’s mind. While I cringed a little bit at a sequence in which Sheila frantically bargains with comic book store employees for a copy of Amazing Spider-Man #121, overall I think Bruni’s approach to the material was very well-handled. Less so, though, was the way the natural world started to intrude on the human realm, predominantly as animals start moving into cities. The book’s cover shows a coyote with silhouettes of human lovers for eyes, and there’s a nice metaphor involving coyotes and water later on, but overall I didn’t really get what the author was going for with this idea. Overall, though, The Night Gwen Stacy Died provides delights for both comics fans and literary types. I bought this in August, shortly after my birthday, and it keeps getting pushed back as more and more books come out in the in-between. Really looking forward to finally ploughing through this. Le me know what you think when you finish. You may also have some interesting feelings about the comic book store scene. I loved the novel. Ended up shaking with rage at the comic store scene. It reminded me of a time a dude walked into the store looking for old Spider-Man and grabbed one from the wall. Kyle started going on about how he loved the John Romita art in that particular issue, to which the guy replied “who?” Kyle tried to get John to not sell the man the comic, but of COURSE we sold him the comic. This is why Kyle doesn’t actually “work” for the store anymore. Reasons like that. Anyway, really, really enjoyed the book.